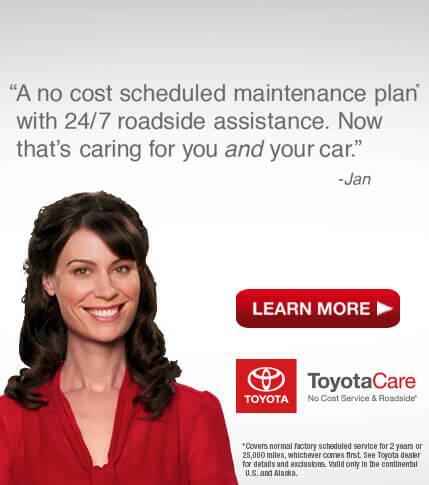 Maintain your Toyota vehicle at great prices! Check out our service specials! 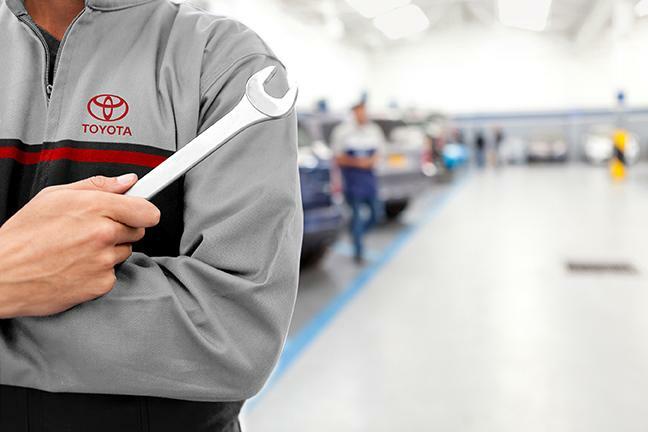 Schedule an appointment now with your friendly and knowledgable Binghamton Toyota technicians. 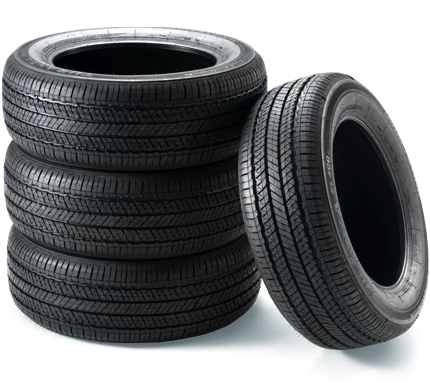 Get the tires needed for your Toyota vehicle at great prices! See our parts specials. How much does your new Toyota vehicle cost? Use our free online payment calculator to find out! Find your perfect vehicle at the perfect price for you at your local Binghamton dealership! 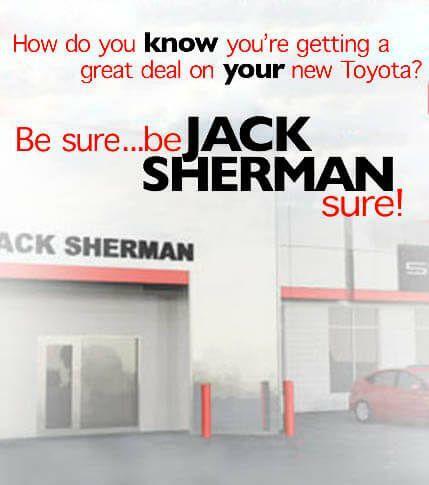 Welcome to Jack Sherman Toyota of Binghamton a locally owned and operated business located in the heart of the Southern Tier!, We have been in business since 1969, proudly serving greater Binghamton NY! If there's one thing at Jack Sherman Toyota of Binghamton we love more than the lineup of new and used vehicles at our dealership, it's the excitement we get out of helping drivers we serve in Binghamton, Johnson City and Endicott, NY find their match. We take the time to explore the features that are important to you and our knowledgeable staff is here to answer all of your questions. But what would buying or leasing a new car be without a test drive first? Visit Jack Sherman Toyota of Binghamton where we'll get you out on the road to find a vehicle perfectly suited to your needs. We are also a convenient Toyota dealer for customers, serving Binghamton NY, Broome County NY, Tioga County NY, Chenango County NY, Southern Tier, Bradford County PA and Susquehanna PA. If you live near the Southern Tier of NY or North Eastern PA, then stop by Jack Sherman Toyota. 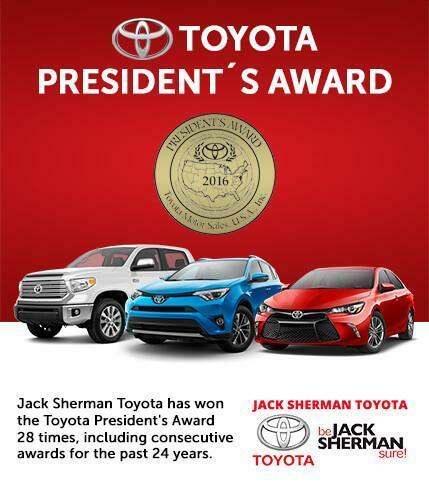 Customer satisfaction is our main priority here at Jack Sherman Toyota of Binghamton and we have been honored with the Toyota President’s Award for superior customer satisfaction an amazing 29 times!!! More than any other dealer in the New York, New Jersey and Connecticut Region. 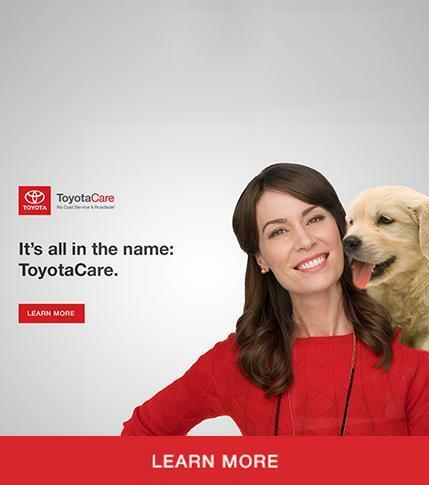 If you're in the market for a new car, truck or SUV, you know to trust Toyota. 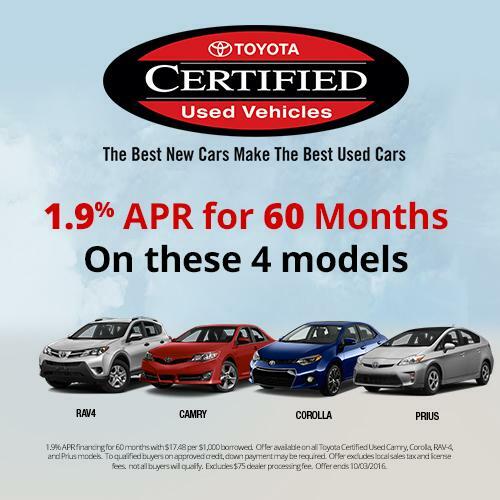 For that reason, Jack Sherman Toyota of Binghamton keeps a wide range of new Toyota Camry, Corolla, RAV4, Tacoma and Highlander vehicles in stock. Be sure to take a look at what we currently have to offer, and be sure to contact us with any questions. Of course, if a test drive is in order, we're more than happy to set one up at your convenience. 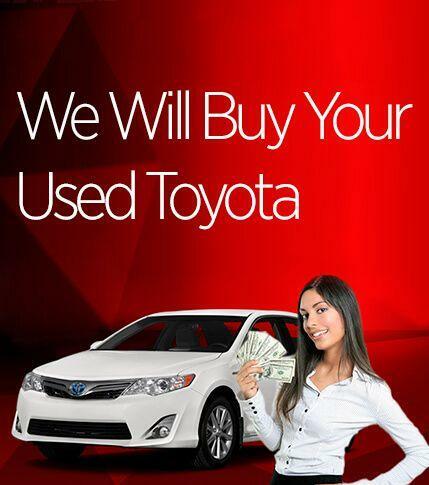 Beyond simply selling new cars, our dealership is also known for giving Toyota models a second chance on the road by carrying an excellent selection of used cars in Binghamton, NY and Toyota Certified Pre-Owned Vehicles as well. Each vehicle we receive from a previous owner is thoroughly inspected to make sure it's fit to be driven in the surrounding areas of Norwich, Susquehanna PA and beyond, meaning you can count on a reliable vehicle when you shop at Jack Sherman Toyota of Binghamton. Binghamton Toyota Service | Binghamton Certified Toyota Mechanics.